After serving as President for the past 8 years, Lt. Paul Mastronardi has passed the reigns to Fr. Chris Botti. Fr. 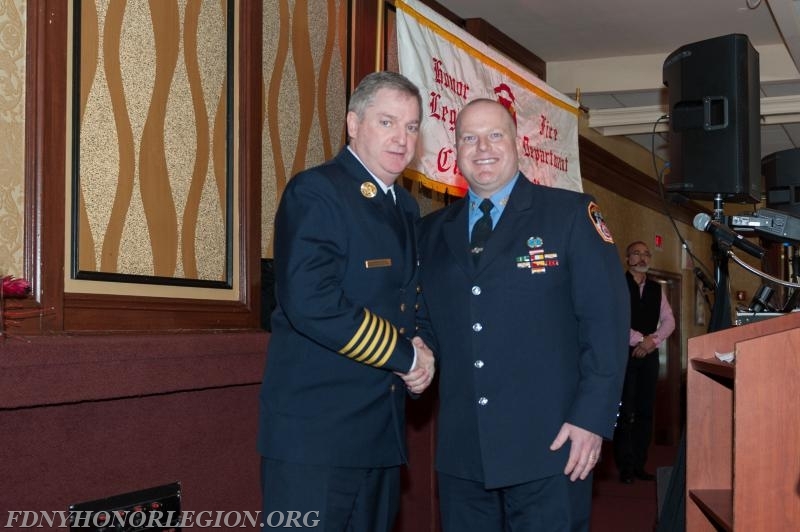 Botti has been a member of the Honor Legion for since 2010, receiving the Hugh Bonner Medal and a Class II Award for a Dramatic Rope Rescue. Chris most recently served as the Manhattan Borough Trustee. Chris began his career in the FDNY in 2003 assigned to Ladder 6. Chris is currently assigned to Squad Co. 18 in Manhattan.